Are multinationals good for Scotch whisky? In many aspects of life, consumers are now opting to spend their money with smaller, independent companies rather than big, corporate businesses. Is the whisky industry seeing a similar pattern of behaviour? Are the big players complacently holding the rest of the whisky world back – or do their deep pockets and long-term commitment make them its beneficent flag-bearers? Tom Bruce-Gardyne gathers opinions. Big vs small: Are large whisky producers helping or hindering Scotch whisky’s future? ‘Small is Beautiful: A study of Economics as if People Mattered’ was a collection of essays by British economist E F Schumacher, published in 1973. Within a decade, such flower-powered idealism had been crushed under the wheels of free market capitalism – just as Scotch whisky came to be dominated by a few, powerful multinationals after a spate of mergers and acquisitions. Then came the revolution against big beer, when folk like James Watt, co-founder of Brewdog, would rant about ‘the faceless, monolithic, industrial mega-corporations’ and the ‘fizzy, insipid lie’ they peddled. That said, it’s also worth mentioning that Brewdog has just sold a 22% stake to a private equity group. 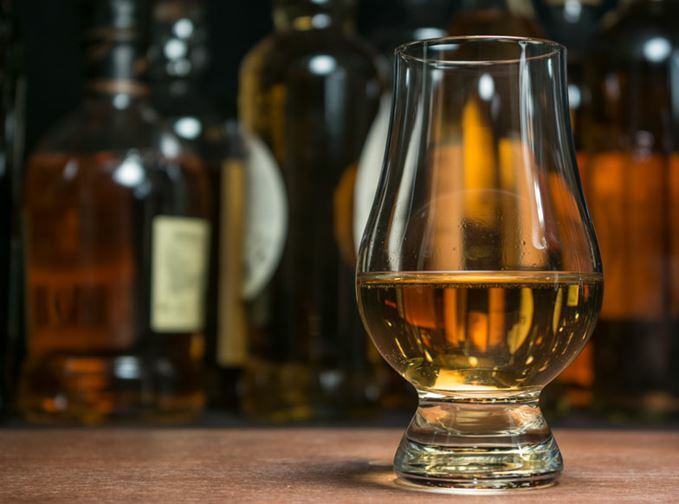 As the ‘craft’ movement spreads to spirits, it seems timely to debate the issue and ask if the big guys have somehow flattened the Scotch whisky category. Have they been too hidebound by tradition at one end, and too obsessed with marketing BS at the other? Or is this unjust, given how they have helped sustain the industry through thick and thin in a way that would have been much harder for their smaller rivals? Are they the innocent victims of the tall poppy syndrome? So let’s pose the question: are multinationals good for Scotch? ‘At the moment there’s this craze for “craft” – though you wonder what the term actually means nowadays – and a lot of people like to hate the big guys. I think it’s unfair. You need to understand what some of them are doing and their initiatives before condemning them. ‘Personally, I believe big companies are good for Scotch. I’ve been very fortunate to have worked for LVMH, Diageo and now Bacardi where I’ve learned that “big” doesn’t mean faceless CEOs. I’ve met [Bacardi chairman] Facundo Bacardi and he genuinely cares about the company’s brands. ‘We acquired our five distilleries in 1997 and have been nurturing them ever since. With big companies there’s generally more money to spend on new initiatives, and that can help sustain distilleries for the future. What we all care about is the quality and consistency of our whiskies, and that the heritage of the brands is respected. It’s also about promoting the category in general and being a force for good. ‘As for long-term vision, our team in Scotland at John Dewar & Sons is planning production and stocks for 10, 20 years down the line. We’re not making whisky for today’s consumer; we’re making it for the next generation. ‘Being “big”, we’ve been also able to invest in a biomass boiler at the Aberfeldy distillery for a 90% reduction in our carbon footprint as part of our “good spirited” campaign. And we’ve also helped the local community – so we’re doing exactly the same as the small guys, but just under a different umbrella. ‘Sometimes brands are big for a reason – it’s because they’re good. I love an independent coffee shop as much as anyone, but when it comes to my whisky I want to be sure that what’s inside the bottle is going to be good, and I want to trust where it comes from. I think with big companies the money’s there to ensure quality and consistency. ‘Big companies are sometimes accused of not being transparent. But at Bacardi we put age statements on all our whiskies, for example. We’re living in the age of transparency, and my generation reads food labels. We want to know what we’re putting into our bodies. ‘The question should be: what are multinationals now going to do for Scotch? There’s no doubt that they’ve played their part in bringing Scotch whisky to the world but, now that the world knows, what’s their next move? ‘Do they rest on their laurels, relying on their distilleries sitting on Scottish soil, continuing to punt the aspirational dream, the luxury lifestyle…? Or do they begin to focus on the imperative things like transparency, education, experimentation, innovation and, in some cases, a re-focusing on quality? ‘The globalisation of whisky is happening. Curious distillers from around the planet are creating different styles paired with awesome flavour and, importantly, they’re being honest and truthful about what’s going into the bottle. For me, as a whisky die-hard, this is a source of massive excitement. ‘Right now, Scotch whisky is missing this buzz and allure. Tradition appears to be firmly entrenched all around us and none more so than within the multinationals who own and look after the majority of Scotland’s distilleries. ‘Basically, I’m bored with their approach, really bored. I’m bored with tradition and I’m bored with the direction Scotch whisky is headed. ‘The industry needs to look at itself and ask where it’s going to be in 20 years’ time. How will each of Scotland’s distilleries, multinational or not, retain their relevance in a whisky world that’s fast changing? And, by the way, a bonnie, shiny, wooden box with a hefty price tag isn’t going to cut it. We want to know more about what’s in our glass and we want to be challenged. ‘The Lone Wolf distillery has been designed to distil different styles of whisky. At our core, we are distillers, not constrained by particular “styles”, and we’re only interested in distilling whisky that excites us. We will forge our own path with an obsessive eye for detail. ‘Across the entire creation process we will influence flavour; from grain and yeast selection, to pot or column distillation (or a mixture of the two), through to cask and maturation, where temperature and humidity can be controllable in our warehouse. ‘Our philosophy is to be truthful and transparent about how our whisky is made. We want to educate and experiment, and if you’re another distiller without that in your DNA, then we’ll be making more interesting whisky than you. Many in the Scotch whisky industry may find this debate puzzling as there is plenty of respect between the different companies, whatever their size. Yet among consumers there is a growing antipathy towards big corporations. If people are happy to walk that extra block to avoid Starbucks in favour of their local café, the same dynamic could apply to whisky. It may be a subconscious bias, and quite possibly naïve and ill-informed, but it’s still there. The multinationals deserve credit for the amount they have invested in Scotch whisky in recent years, when they could have ploughed the money into other spirits in their portfolios. Their new distilleries, warehouses and bottling halls demonstrate a real long-term faith in the category. That said, Kersley makes a valid point about the globalisation of whisky and how Scotch may be missing out on the ‘buzz and allure’. If the multinationals fail to respond, let’s hope that more dynamic, independent distillers spring up in Scotland to fill the void. David Gates will lead BrewDog’s spirits division, ahead of its first whisky launch. A hefty dose of experimentation characterises the brewer’s foray into spirits production. Distillers are coming up with ever more inventive ways of working with this tricky grain. Rye’s return in Scotland after a long gap marks the latest chapter in a chequered history.